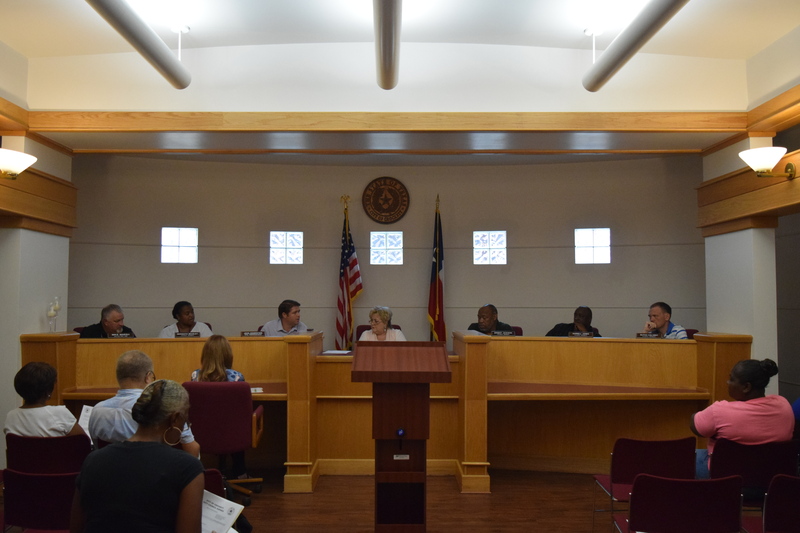 CROCKETT – The city of Crockett adopted the Fiscal Year 2019 tax rate during a meeting of the Crockett City Council held on Monday, Aug. 27. “Council, this is the ordinance we have to approve every year and now is the time to adopt the tax rate to fund our next budget. Within that, there is a breakdown as to what portion of the revenue will fund our operational costs as well as our debt service costs,” City Administrator Johns Angerstein said. The new rate will be $0.596791 per $100 of property valuation. Last year’s tax rate was $0.586094. The FY 2019 rate of $0.596791 is comprised of $0.473099 in maintenance and operation (M&O) taxes and $0.123692 in interest and sinking (I&S) taxes. The M&O refers to the amount of money needed by an entity for operations on a day-to-day basis while I&S refers to debt service. 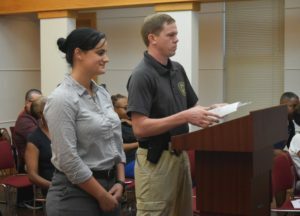 Following the adoption of the FY 2019 tax rate, both the 2018 tax roll and the election of Chelsea Stanford to the Crockett Police Department received the council’s approval. The last item on Monday night’s agenda concerned an update on a water rate increase from the Houston County Water Control and Improvement District #1 (HCWCID). Angerstein informed those in attendance, the HCWCID had wanted to increase the water rates charged to the city by three percent but had lowered the increase to 1.5 percent. “Next year there will be some improvements that will require additional increases. Last year, they went up two percent and this year they want to go up one and a half percent. Both of these percentage increases were not passed on to the public. As you know – last year – we decided to absorb the rate increase and not pass it on to the public. This year, we’re also absorbing 1.5 percent increase and not passing it on to the public,” Angerstein said.